August Fête Open Houses Sneak Peek! Each year, the open houses are the highlights of the August Fête. This year, we’ll be exploring the School Street neighborhood in the Fish Lots. Here is a sneak peek at two of the houses that will be open for guests to tour. 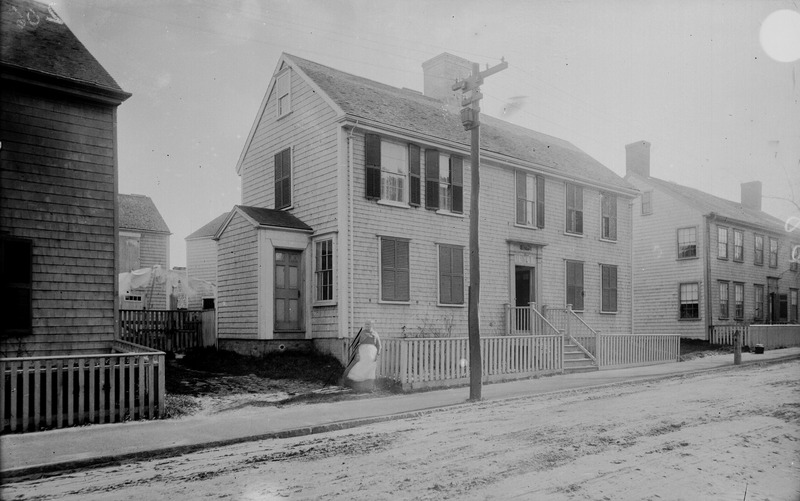 The land at 22 Fair Street was originally owned by James Coffin (1640-1720) son of Tristram Coffin and Dionis Stevens Coffin. James Coffin was granted ownership of the 4th Fish Lot in 1717 but died three years later. His youngest son, Jonathan Coffin (1692-1773) appears to have inherited much of the 4th Fish Lot at age 29. Jonathan Coffin then granted the land to his son Henry Coffin (1716-1756) when Henry was a 33-year-old mariner. Henry Coffin married and had five children. A deed from 1808 in which Henry Coffin’s two oldest sons sold their interests in a piece of land “and a dwelling house” describes the property—including the house—as having been formerly owned by their late father from 1749 until his death in 1756. The house at the end of Tattle Court was once the residence of Thomas Macy, which accounts for the earlier name of the court, Macy Lane. One of the oldest houses in the Fish Lots and perhaps on island, it is believed to have been moved from the original settlement at Sherburne and rebuilt at its present location soon after the neighborhood was laid out in 1717. 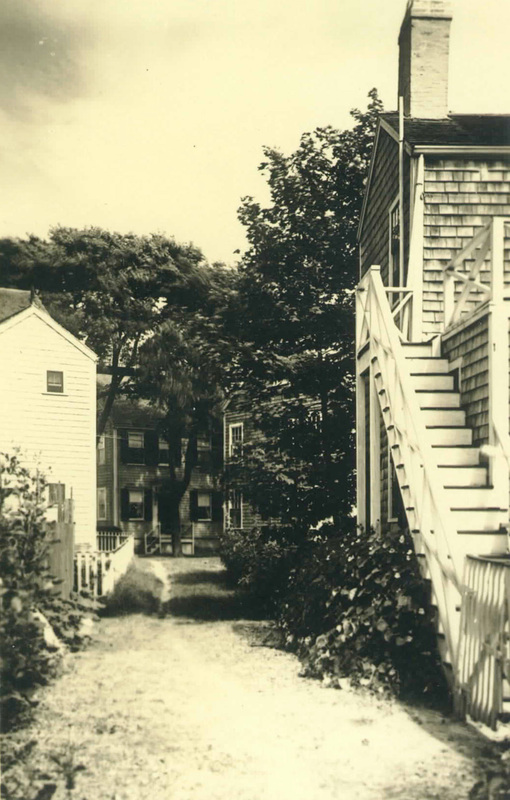 Like most Nantucket houses from the early period, it faces south. The house was labeled “old and vacant” on the Sanborn Insurance Company map dated 1904 but was restored mid-century by Stewart and Maude Mooney.